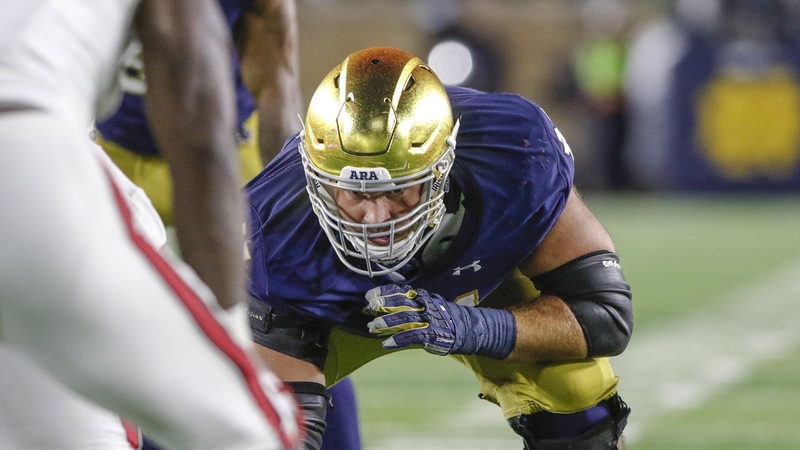 Notre Dame offensive lineman Alex Bars suffered a season-ending ACL and MCL injury against Stanford at the end of September, but things are looking up for the Nashville native. I’m told Bars is two months ahead of schedule and as you can see, he’s back to football workouts. Bars told Irish Sports Daily at the Cotton Bowl he was already squatting, hang clinging and doing platform workouts. Four months later, it’s looking even better for Bars as the NFL Draft starts on April 25th.